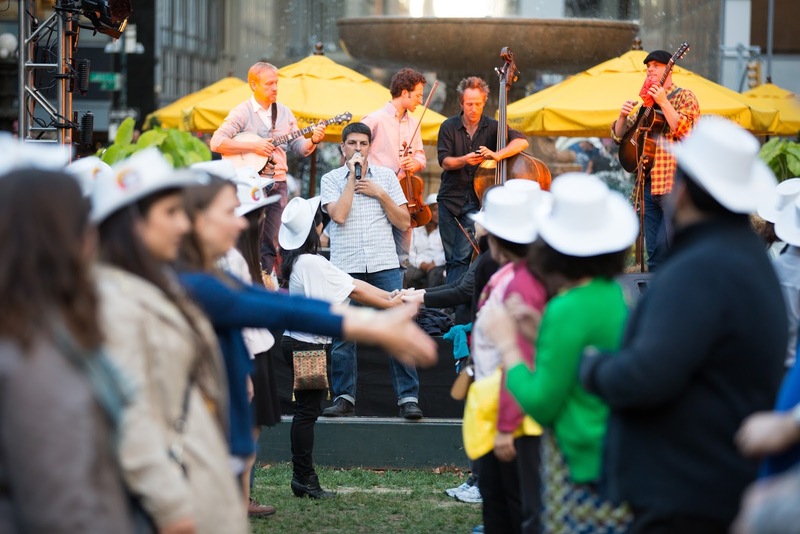 We're so excited about this year's round of Bryant Park Square Dances that we just had to share what we're working on--we can't keep it to ourselves! Our energetic opening bands are going to get you primed for a hootenanny, and the square dance callers will make everyone look like pros. Below is our lineup for the 2013 square dances. We were lucky enough to host Woody Pines at After Work Music, and are thrilled to have them back to kick off the 2013 square dance season with their country blues! Pat Cannon is our square dance caller for the evening, and boy is this gal good! She's called square dances from Grand Central to Governor's Island and will have us kickin' up our heels all night. Cowpokes run through the tunnel at last year's event. Brooklyn-based Alex Battles and the Whiskey Rebellion will jumpstart the mood with some good-time country rock. Trekking all the way from Iowa, Dave & Mary Losure will keep the do-si-dos in check to the tunes of Tar & Rosin. Coming off a United States Department of State tour of the Middle East, the Boston Boys will get toes tapping with their easygoin' Appalachian bluegrass. You may remember Bryant Park favorite Dave Harvey and the Remedies from last year's square dance festivities. 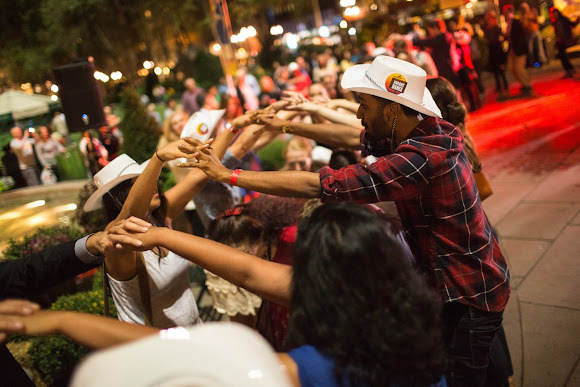 He and his NYC Barn Dance are back this year to close out our fantastic Square Dance series. Dave Harvey of NYC Barn Dance returns to round out the 2013 Bryant Park Square Dance season. You know Bryant Park loves games (like petanque, kubb, putting, and ping pong), so you can bet that we'll have some festive lawn games for the Square Dance. Try your hand at corn hole and ladderball as you rest your two left feet. Or take a lasso lesson from our cowboy-in-residence, Mitch Lustig! We'll have a photo booth with props, too! It's not a down-home celebration without some finger-lickin good food. Our friends at 'wichcraft will keep you fed and watered with a delicious array of food, beer, and wine for purchase. Looking to upgrade your Square Dance? Purchase a VIP Ticket on Gilt City for unlimited barbecue and drinks. Any good hoedown has plenty of giveaways, and ours is no exception. The first 500 cowpokes to enter the festival each night get a cowboy hat. Anyone may enter a raffle to win a pair of tickets from Southwest Airlines, a Bryant Park tote packed with stuff from your favorite park, and other great prizes. 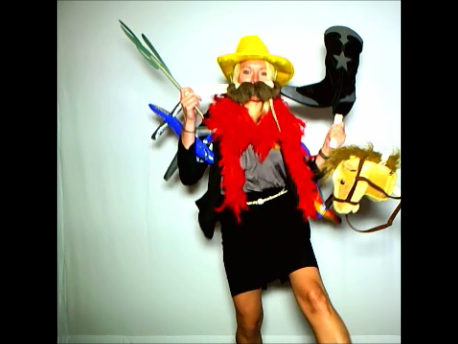 We'll also have our #BPSquareDance photo booth setup to transport you out west. Throw on some hats, a mustache, and snap a photo of your night. Up the ante, and come in costume. Don't worry about finding somewhere to put your saddlebags. Our deputies will guard them at the bag check for just $2.